Please bring a lunch and snacks. Bring an apron and/or wear clothing you don't mind getting dye stained. Making and caring for an individual organic (natural) indigo vat that can be taken home to continue using. 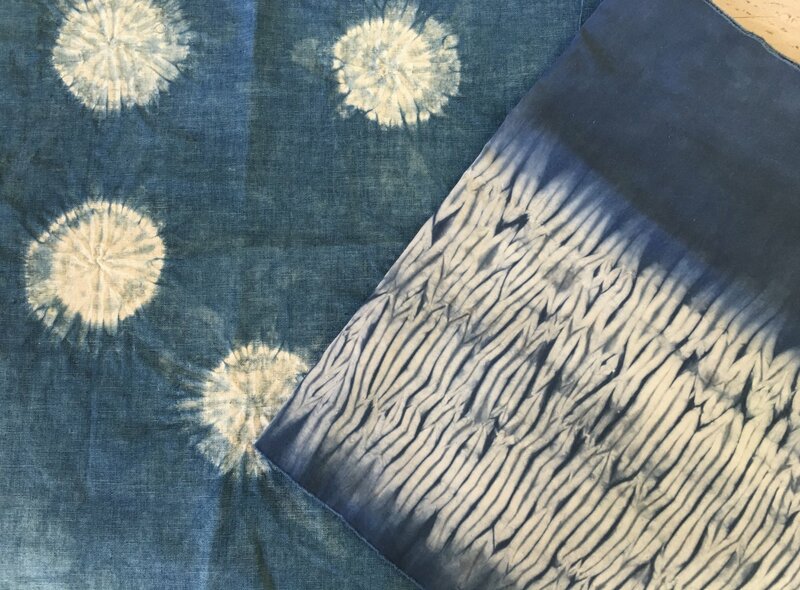 Instruction, demonstration and hands-on assistance in different types of shibori (resist) to create patterns on their fabric pieces. Emphasis will be on stitched shibori techniques (Nui shibori) for patterning on fabric. A short history of indigo and the science behind the color. Fabric scouring instruction and assistance in dipping the manipulated fabric into the dye vat. Cleaning and care of the dyed pieces, cleaning the work space, and a final wrap-up to show work created in class. Students will leave with an indigo vat of their own as well as shibori samples!